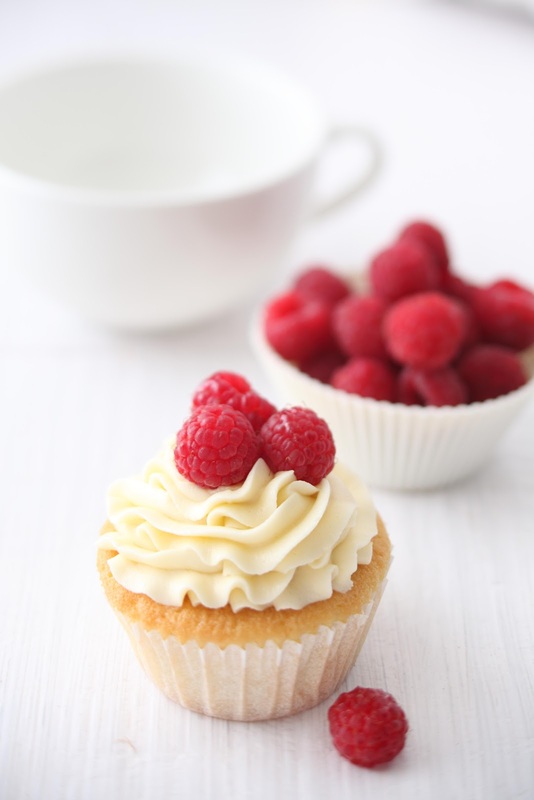 Le 15 Patisserie: Le15 Tutorials: Cupcakes!!! Yes yes I see the thousands of requests to schedule a cupcake workshop and I promise you it will happen soon! In the mean time we have a little treat for you :) Read on as food writer Ameesha Mansukhani explains how to make our Vanilla Cupcake. Lately many food magazines and blogs have observed that 2009 was the year of the cupcake, 2010 the year of the macaroon, and 2011, well we have yet to see. 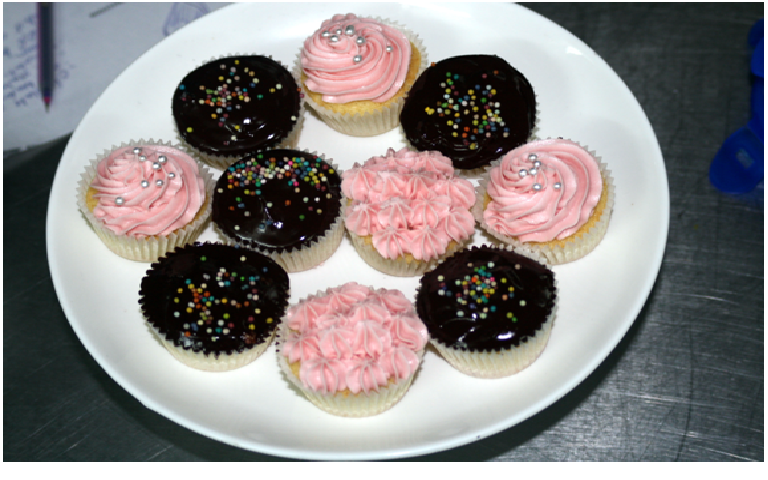 Cupcakes were all the rage in 2009—a flood of patisseries and cupcake-only shops were ubiquitous. Whether 2009 was the year or not, a delicious Vanilla cupcake is timeless. The cupcake trend resulted in the birth of a variety of eclectic flavours of cupcakes, however the classic Vanilla cupcake is resilient and will always remain as an important signature for any baker. 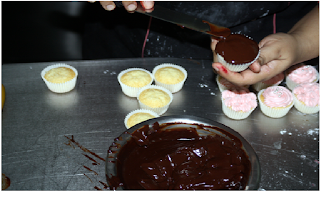 We go through the basic steps of baking a Vanilla cupcake with two types of frosting: butter cream frosting and chocolate ganache frosting. Put the butter and sugar into a bowl and beat with a whisk until they become light and fluffy. The sugar will not melt entirely because of the ratio of sugar to butter. Add the vanilla extract to the butter-sugar mixture. 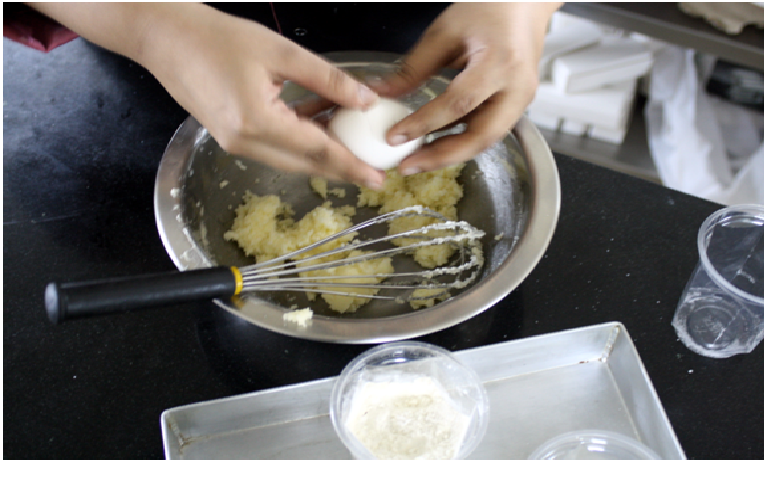 Add the eggs to the mixture one at a time, whisking after each addition, until completely incorporated. 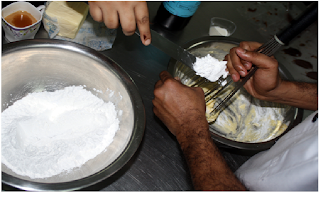 Add the baking powder to the flour. Whisk this mixture so you don't get lumps of baking powder in your batter. Now add the flour mixture and milk alternately, starting and finishing with the flour. 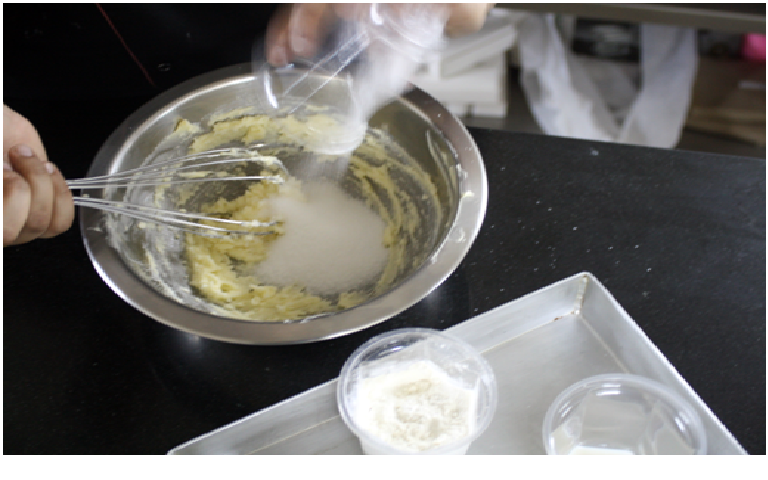 Whisk the batter after pouring each alternate ingredient. 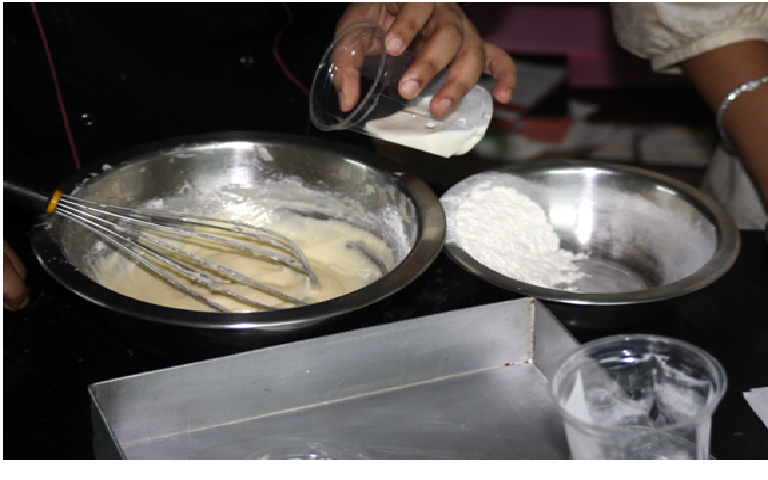 The sequence will be flour-milk-flour-milk-flour.Adding the flour and the milk alternately stops the cupcakes from becoming chewy or dense, instead you will end up with perfectly moist cupcakes. After you finish whisking the batter pipe it into a lined cupcake mould until they are ¾ full. Bake the cupcakes for 20-25 minutes. Test to see if your cupcakes are ready by using a skewer. Insert the skewer into a cupcake; if it comes out clean they are ready. In a bowl, cream the butter until smooth and well blended. Beat in the vanilla extract. Slowly add in the sugar to the bowl and gradually beat the sugar into the butter. If using a mixer, put the mixer on low speed. Add the milk or light cream and beat frosting for about five minutes until its light and fluffy. 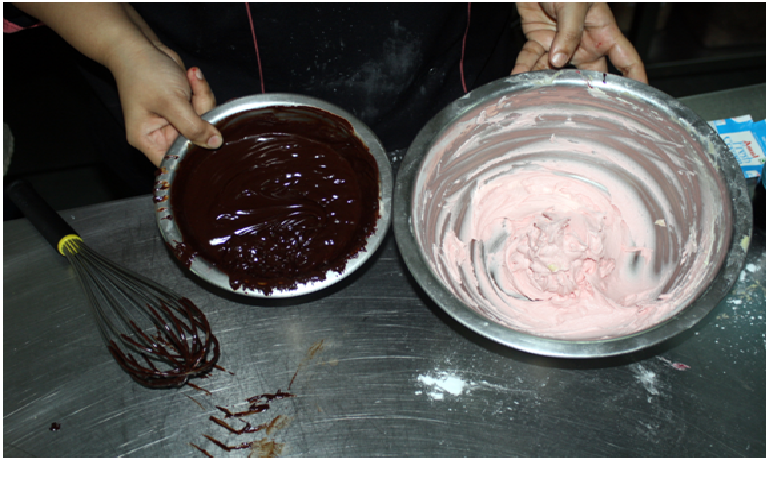 Add food coloring to the frosting after beating. If you are not using the frosting right away cover it with a plastic wrap to prevent the frosting from drying out. 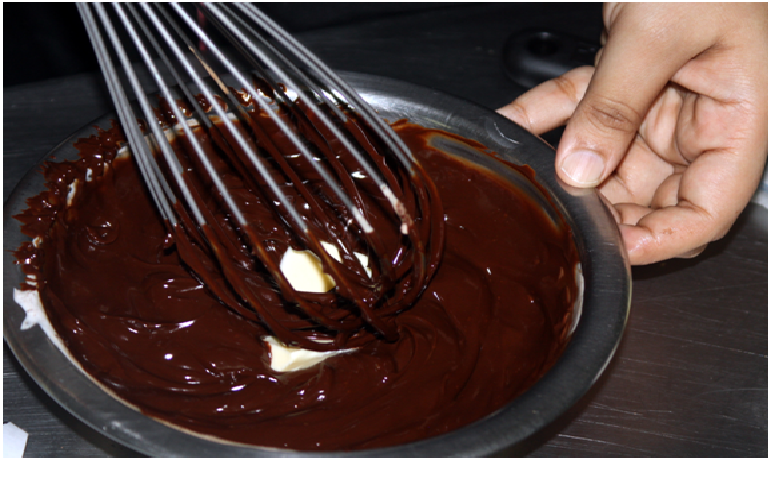 Place the chopped chocolate in a medium sized stainless steel bowl and set in aside. Heat the cream in a medium size saucepan over medium heat. Bring just to a boil. 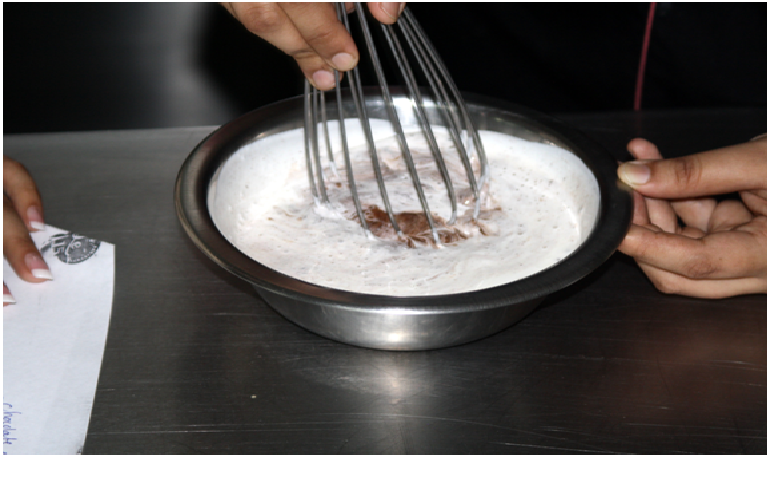 Immediately pour the boiling cream over the chocolate and allow the combination to stand for five minutes so that the chocolate melts into the cream. Use a whisk to slowly stir the chocolate into the heavy cream. Small wrist movements will get the right texture. 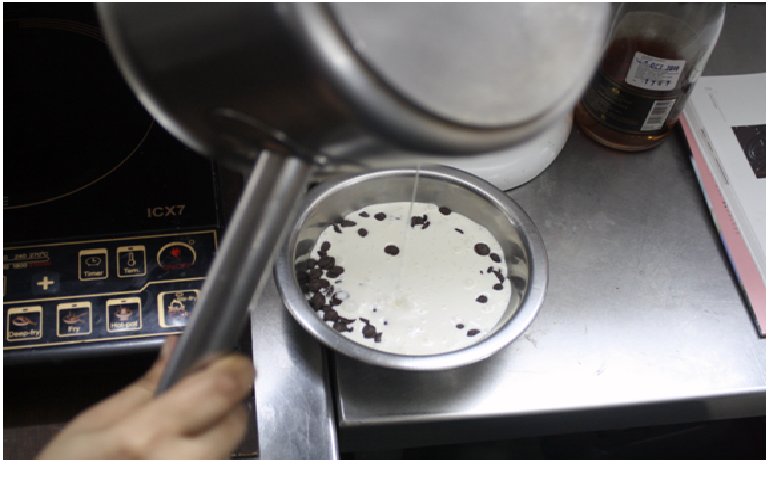 Add the butter to the heavy cream and chocolate mixture and whisk until well incorporated. The final product of the two frostings. Put the butter cream in a piping bag and create a frosting design on your cupcakes. 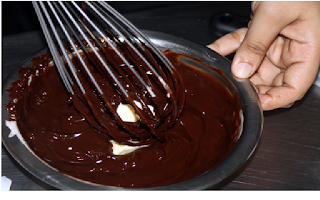 Use a palatte knife to spread the chocolate ganache frosting over the cupcakes. For aesthetics add a sprinkles over your cupcakes. And Voila! Great blog ! Keep writing ! I wish the pics here taken at better angles in better light to show the cupcakes in a closer view and highlighting its texture. Is it possible to store the buttercream cupcake in the fridge? Yes you should store the buttercream cupcake in the fridge! 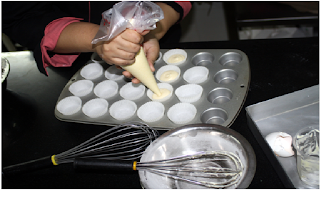 @Pallu: I follow the same recipe and get 24 mini cupcakes, and 12 big sized ones. How big were your molds? 40 is very very surprising!! hw many minutes do we have to pre heat the oven???? what size cupcake liners should i use??? What if i dont use eggs in the recipe? what should be the temperature if we bake the cupcakes in microwave convection mode ? This post is to a great degree important for us. Since we have an extensive measure of tips and traps from this post. Much gratitude to you for this dazzling post share.I various tips about occupation treatment too. If you have to know more information about this districts, you should visit our site.